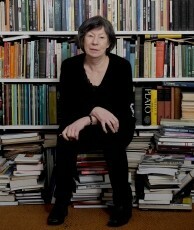 Laura Mulvey has been writing about film and film theory since the mid-1970s. She has published Visual and Other Pleasures (1989, new updated edition 2009), Fetishism and Curiosity (1996 new edition 2013), Citizen Kane (1996 new edition 2012), Death Twenty-four Times a Second: Stillness and the Moving Image (2006). In the late 1970s and early 1980s, she co-directed six films with Peter Wollen including Riddles of the Sphinx (1978; dvd release 2013) and Frida Kahlo and Tina Modotti (1980). In 1994, she co-directed with artist/filmmaker Mark Lewis Disgraced Monuments (Channel 4) with whom she has also made 23 August 2008 (2013). She is Professor of Film and Media Studies at Birkbeck College, University of London and Director of the Birkbeck Institute for the Moving Image. 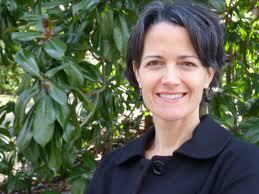 Maria Pramaggiore is Professor and Head of Media Studies at NUI Maynooth in Co. Kildare, Ireland. She is the co-author of Film: A Critical Introduction, with Tom Wallis, and the author of Neil Jordan (Illinois 2008); Irish and African American Cinema Since 1980 (SUNY 2007); and the co-editor of Representing Bisexualities (NYU 1996). She has published widely on subjects related to feminism, queer theory, race and national identity, including essays on Jane Fonda’s star persona, sound in post 9/11 films, the Kardashians, and Orange is the New Black. She is completing a book on temporality in Stanley Kubrick’s Barry Lyndon. Her current projects include a co-edited collection with Bella Honess Roe (University of Surrey) on the voice in documentary and a book project on Dynastic Celebrity.